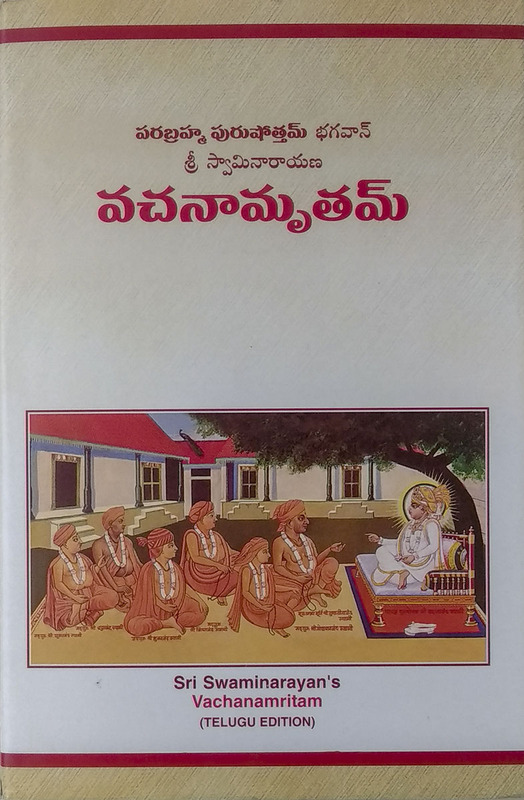 A translation into Telugu of the original Gujarati scripture. It is the major scripture of the Swaminarayan Sampraday. Through sermons and question-answer sessions, Bhagwan Swaminarayan provides practical and enlightening guidance on all aspects of spirituality for all spiritual aspirants. The Vachanamrut is a principal scripture of the Swaminarayan Sampraday. It is a compilation of 273 spiritual discourses delivered by Bhagwan Swaminarayan from 1819 CE to 1829 CE. It is a catechism filled with infallible logic, illuminating analogies and etaphors, and divine revelations that provide philosophical and practical answers to the deepest mysteries and questions of life. Whether you want to overcome anger or understand the nature of God, whether you want to eradicate jealousy or know whose company to keep, whether you want to recognise a true guru or develop faith in God, the Vachanamrut can enlighten you. It is the essence of the Hindu scriptures based on the spiritual knowledge, spiritual insight and practical experience of Bhagwan Swaminarayan, the Supreme Reality Himself.